This fundraiser is for our son Darshit. 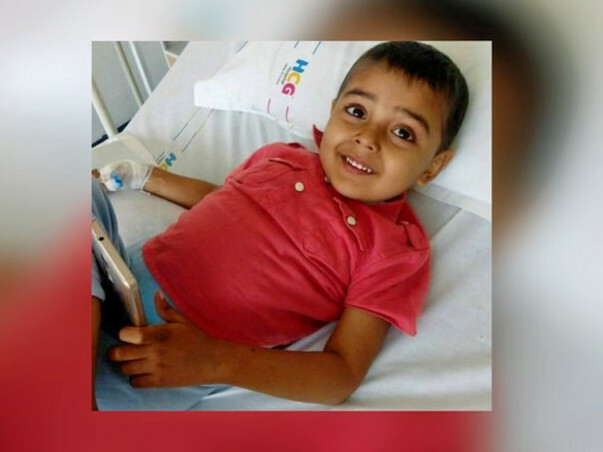 He is 3 years old and is currently suffering from Precursor B cell Acute lymphoblastic Leukemia , PH+ (Blood cancer). He is undergoing chemotherapy, however, the results have not been very good. The doctors have observed very high MRD at the end of induction, which in other words, means that chemotherapy hasn't helped fight cancer to a sufficient level. 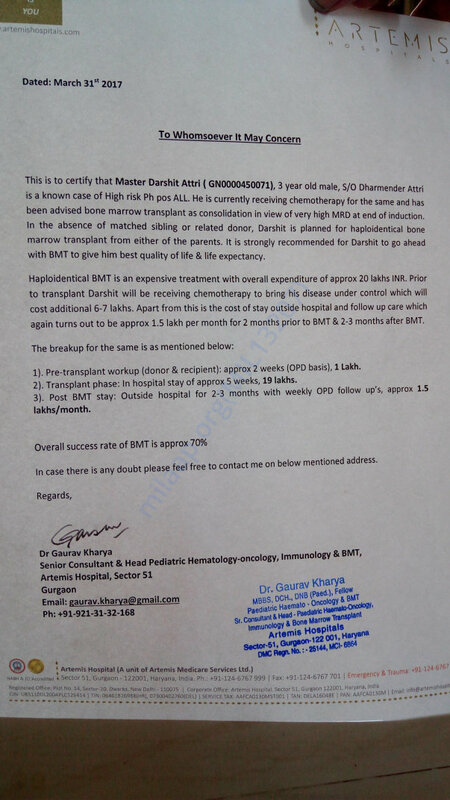 The doctor has now advised us to undergo a BONE MARROW TRANSPLANT for Darshit. 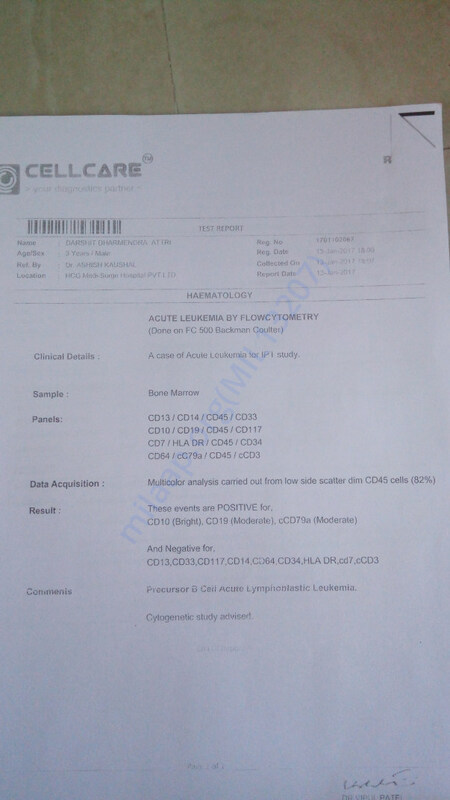 Since his HLA is half match with his elder sister (6 year), one of the parents has to be the donor (Haploidentical). The overall cost of the Haploidentical bone marrow transplant exceeds 30 lakh INR, which is a cost we cannot bear. We have already spent over 5 lakh in the process of treatment so far. I am the only source of income for my family and it is impossible for me to raise funds independently. We are hence reaching out to all of you for help. Darshit is a very bright child and just like any other child, deserves a chance to live and chase his dreams. You don't have to do a lot. Just donate what you feel like is right and share the cause with your friends and family. The amount we seek is large, but with enough people willing to help, it won't be a hurdle at all. 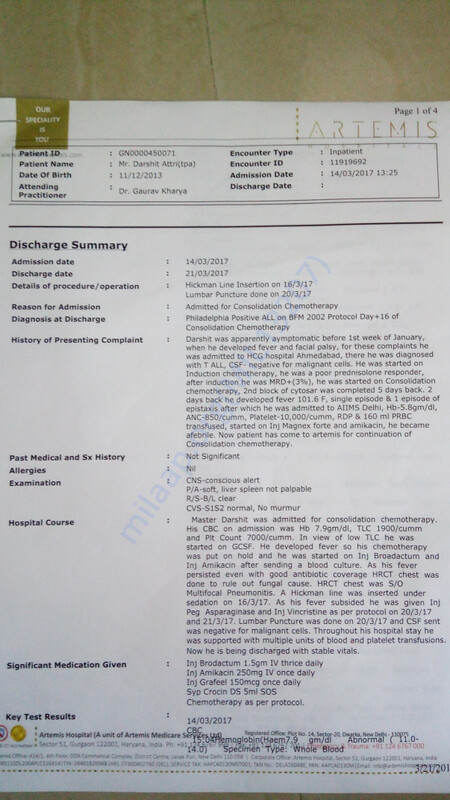 To ensure the authenticity of this case, please feel free to get in touch with the hospital or write to us on <Dharmender.attri@gmail.com> and we would be more than happy to get in touch with you. We assure you that your funds will be used only for the cause of Darshit's treatment. We will be regularly sharing the progress the treatment with you across our social media handles, and hope to have you along with us on the journey to giving Darshit a new life. Everyday of our lives, for the last three years, we have woken up and worked towards building a beautiful world where he could grow up in. And we wish to keep doing for all the time to come. 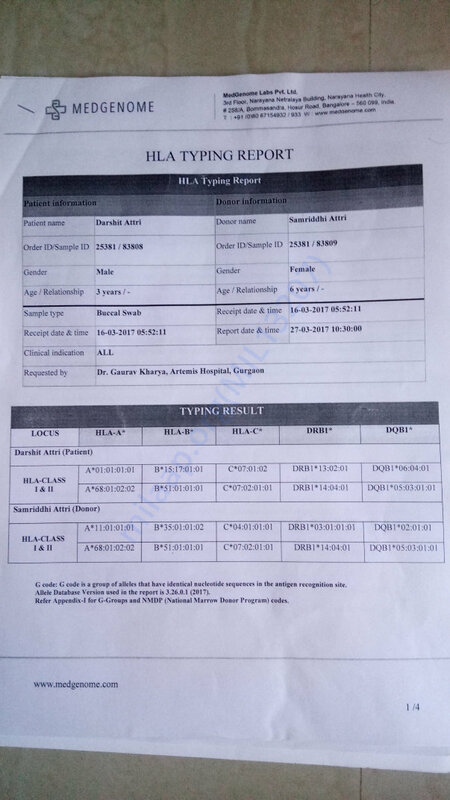 Here is an update on Darshit's health. I am very happy to say that Darshit has successfully completed 165 Days post Transplant. 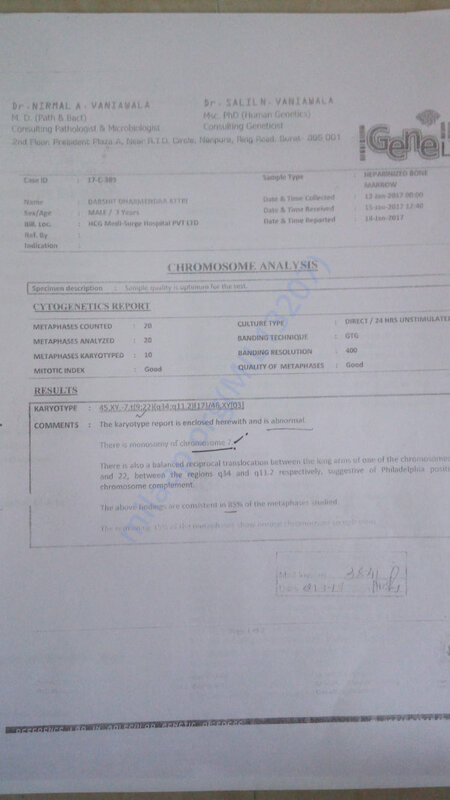 All his reports are coming normal and his Chemrisim post engraftment is close to 99%. Now waiting for his immunity to come in the range. Currently, bi-weekly tests are going which will turn into monthly test after some time. Medicine will be continued for next 1 year. There been a while that I haven't shared the update. Please keep Darshit in your prayers and thanks for being around me during this difficult phase of my life. Thank you for your wonderful support. We are very grateful to you for the support. Want to share good news with all of you, Darshit's Bone marrow transplant was done on 1st September 2017. Everything went well, he is in recovering phase and was Discharged on 18th September 2017. 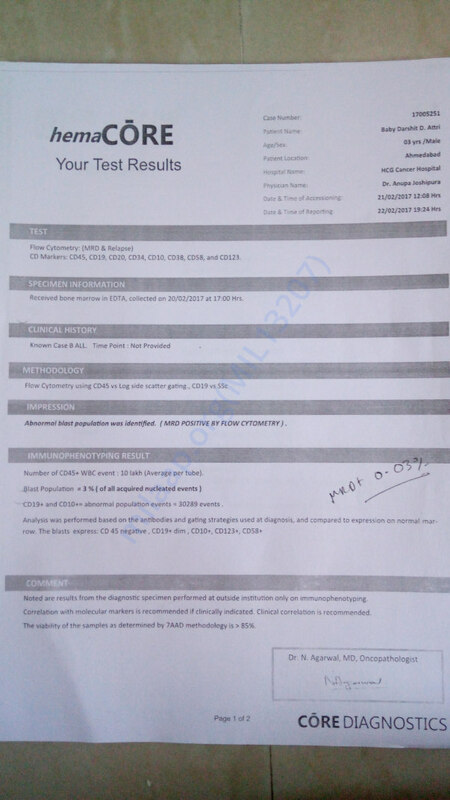 Post-Transplant 100 days time period is there where we have to follow up with some weekly test. Also, we need to keep Darshit in a neat and clean environment, well home cooked food, refrain meeting people for a couple of months. Some medicines will continue for 8 months and some for 2 years as per doctor's advice. I want to thank each one of you whose support has made this possible. I will keep you posted on his health. With God's grace today 1st September 2017, bone marrow transplant has been done for Darshit. Everything went smoothly, my stem cells were harvested yesterday 31st August 2017. Now he will be under observation for next 15 days in hospital and if everything gets well will be discharged. The supporting treatment and weekly test will be there for next 3 months. Next few days are more important, please keep praying for his recovery. Thank you everyone for such a tremendous love and support.